This winding railway looks like coming out from the thick woods. While my husband was driving, I held my pocket camera. Sometimes I can capture an interesting object like this railway. I don’t remember where the spot is, but it’s somewhere in Malangbong City (West Java Province, Indonesia). It is an interesting object! It gives definition to the forest and farmland it runs through! I agree with Dimple, the railroad adds a dimension to the forest. 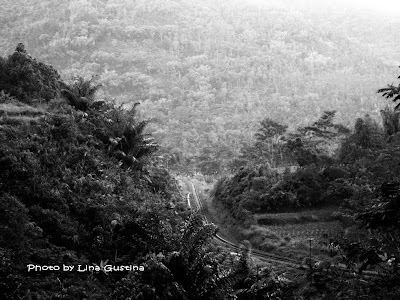 You have so much detail here - forest and cleared areas, all set off by the curves of the railway. Jadi kebawa nostalgia Tempo Doeloe.. I really like the contrasts Lina. 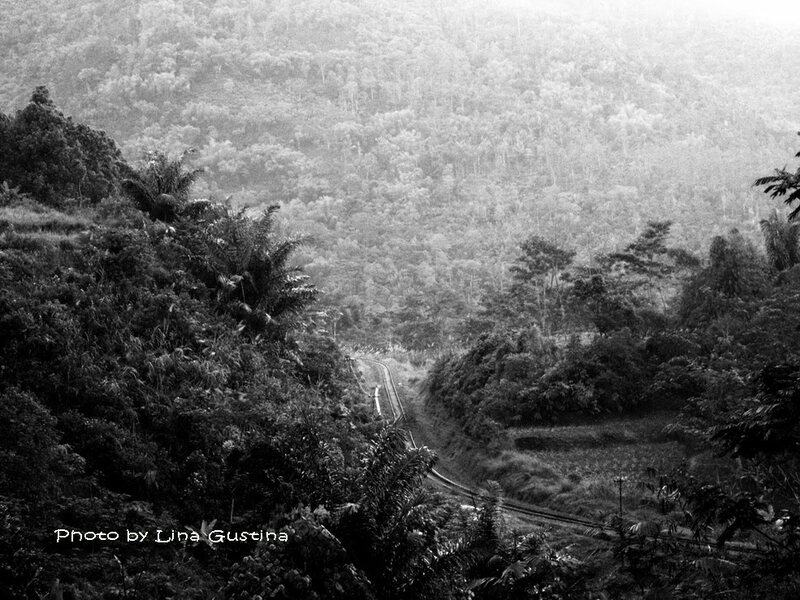 The tracks look like they are coming right out of the mountain...such a nice shot...it makes the me feel like I am there in the car with you. Lovely work. What an amazing place to be. breathtaking sight you got there..
Hi Lina! I love the shot! And I love it when other people do what I do and take pictures while their husband is driving! Nice B $ W photo.